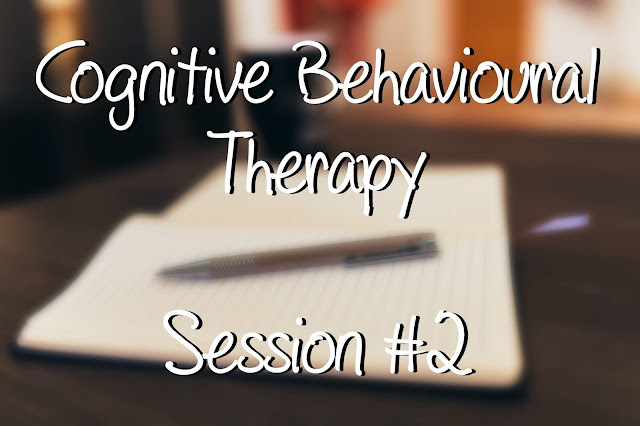 It’s been a over week now since I had my second CBT session and I was a little disappointed with it to be honest. Nothing against my therapist personally because she seems lovely I just felt like the phone call was unproductive compared to our last one. Also the session should normally last for 40 minutes and we were only on the phone for about 20 minutes. Maybe I’m over-thinking it? I don’t really know but I guess it wasn’t all bad as it’s that one step closer to helping myself to get through this. Two down, two more to go! A quick warning that this post talks about depression and anxiety so it could contain some triggering elements. 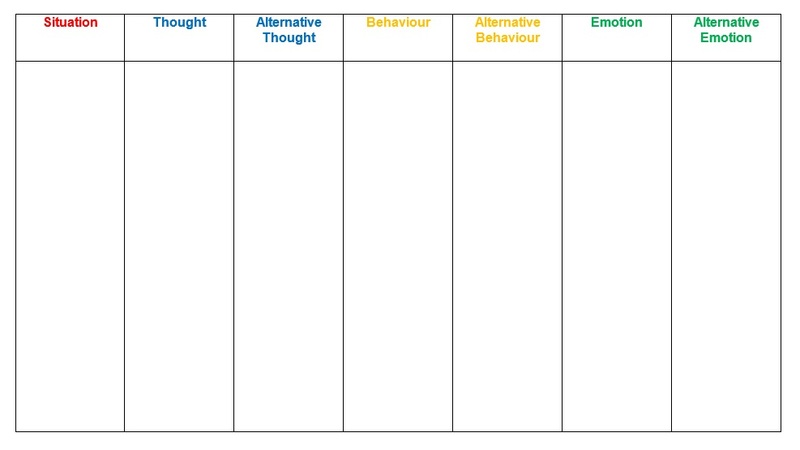 It began with us doing the same anxiety and depression questionnaires that we done in the first session so I realised by then that they were going to be a regular thing as a way of tracking my thoughts and behaviour. My results were on the scale of ‘severely moderate depression and severe anxiety’ which was basically the same as last time. I didn’t expect to make any improvements as it had only been a week so if anything I’m glad that it hadn’t changed. She went on to ask if I had any problems or issues since we had spoken but I was hesitant about sharing them with her. Not for any particular reason other than the fact that I’m used to keeping them to myself. Also I still felt like she was a strange to me which meant I found it even more difficult opening up to her. I reluctantly told her about a moment I had where I was at a relatives place and I seemed to make myself feel invisible to everyone in the room like I was in some bubble, in my mind I wanted to talk and move but my body just wasn’t responding. I was paranoid that my family were going to notice and eventually one of them came up because they thought I was daydreaming. I went along with it as that was easier but I wish I actually said that I was struggling. She then asked me a couple of questions and gave me possible suggestions of how I could dealt with it differently. It’s easier said than done but I’m glad that I’m actually realising when something isn’t quite right because before I wouldn’t notice till after it happened – you could call that progress! 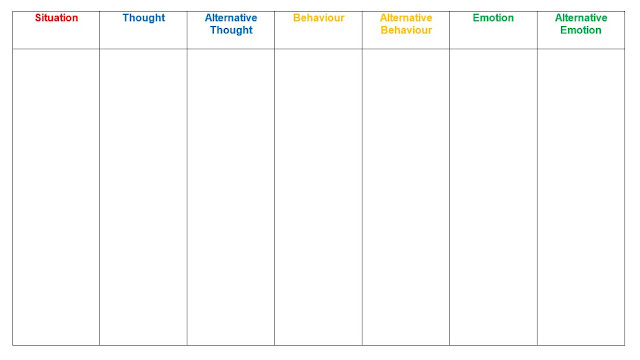 As the call ended she emailed me a CBT record (photo below) where I was told to jot down any problems I experience along with my emotions, behaviour and thoughts at the time; this way I can look back on them and see how I could have done it better if need be. I quickly mentioned that I had been having trouble sleeping as I had so much on my mind and she suggested that I downloaded the ‘Calm’ app. For those that might not know it’s a meditation and sleep app that helps to relax. I’m not sure about any of these at the moment but as I keep saying I’m willing to give anything a go! Thanks Aimee 🙂 I've had my 3rd session already and it was better than this one in some ways so I'm glad we were cut off short this time!